As you prepare to apply for college, or even as you go on college visits, it can help to get an idea of what to expect as you figure out how to pay the bill. Financial aid interview questions can help you determine which schools are likely to provide you with the best package. Here are some of the most important questions to ask financial aid officers as you contemplate which school works best for you. 1. How Much Financial Aid Can I Get? It’s important to have a good idea, going in, what to expect in terms of total coverage. 2. What Applications Should I Fill Out? In many cases, especially for need-based financial aid, schools expect you to fill out the FAFSA. You should fill out the FAFSA in any case, just to make sure you have access to all the federal financial options, including student loans, available to you. Find out if you have to fill out separate applications for merit-based aid, and check with the financial aid office to confirm the deadlines for all applications if you’re looking for financial aid. 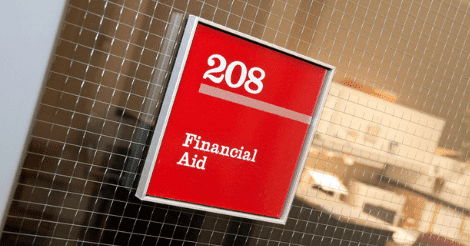 Deadlines for financial aid may be different than deadlines for admissions AND deadlines for merit aid may be different than other deadlines as well. 3. What Options Do I Have for Paying for School? Sometimes deciding what financial aid package to accept depends on different factors. Consider all the options you have to pay for school and see which package combines what you need with a certain degree of flexibility. 4. How Do I Maintain My Financial Aid? Once the school has offered you a financial aid package, it’s important to make sure you understand the terms and conditions involved with maintaining your aid. Find out if there are requirements to maintain a certain GPA, re-apply for aid each year, and if there are other circumstances you need to meet. 5. Is This the Best You Can Do? You can also find out if there’s additional money available once you’re no longer a freshman, and ask about additional opportunities. By knowing which questions to ask financial aid officers, you’re more likely to get a clear picture of which school is going to give you the best deal. You might not be able to go to your first choice school, but with the right approach, you can still get a good education without breaking the bank. by Miranda Marquit, who has been covering personal finance for more than 10 years, including aspects of college planning and student loans. She is a recognized money expert and has contributed to numerous media outlets, including Forbes, Marketwatch, NPR, USA Today, Investopedia, and U.S. News & World Report. She lives in Idaho with her teenage son — who she’s just starting to guide through the college selection and admissions process. Newer PostHonors College or Honors Program: What’s the Difference? Older PostWhat is the Midwest Student Exchange? Road2College Copyright 2019. All rights reserved.